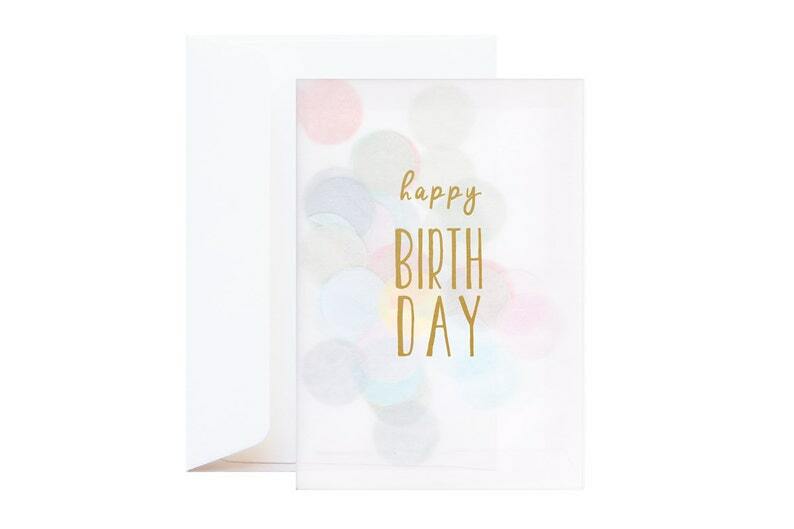 Our confetti cards are not just a card but an instant party in an envelope. Give your heart felt congratulations with this unique card. The Happy Birthday confetti card features a beautiful gold text and large pastel confetti.